Every year, it seems, the number one resolution for the new year is to lose weight and eat better. Make sure your Fitness Center will be the most desirable place to make it happen by staying on top of the market trends in your industry. Apple, Garmin, and Fitbits—wearable fitness technologies were popular gifts this holiday season and these gadgets have staying power. Take advantage of the fitness trackers on the market and offer incentives for your customers: the customer who has the most steps each month gets their next month free. You can also become a carrier for your favorite brand and offer free tutorials on how customers can best use their technology. Your customers will thank you for your expertise and you might find that their Christmas gifts can make their resolutions sustainable—and your business the place to sustain them. No matter what’s on their wrist, nothing will hold them accountable like a personal trainer—and the personal training industry is supposed to grow by 8% come 2024. Personal trainers are becoming more knowledgeable and are undergoing more rigorous accreditation plans, so make sure you have a team of in-house trainers that are up to snuff. By investing in your trainers, your customers will have access to the know-how to get results and feel safe in a professionals hands. People want to be able to work out easily—even when they don’t have access to the proper equipment. One of the hottest new trends is the idea of getting back to the basics with body weight training. That’s right—sit-ups, push ups, squats, lunges, pull-ups. The thing is, in order to be able to train effectively, people have to know what they’re doing. Jump on the trend and offer some classes in body weight training. Take advantage of these three trends in the fitness industry and your start to 2017 will be looking exactly the way you dreamed. 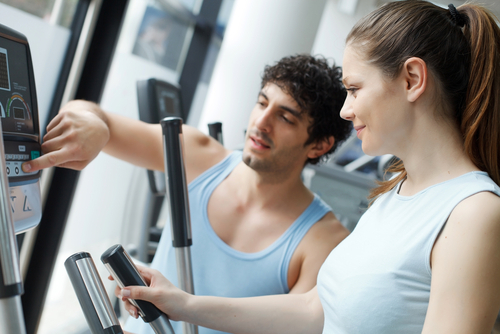 Learn more about how SinglePlatform can help your Fitness Center get discovered by new customers.